A lovely Victorian Shops Pine Bank of 15 Drawers. 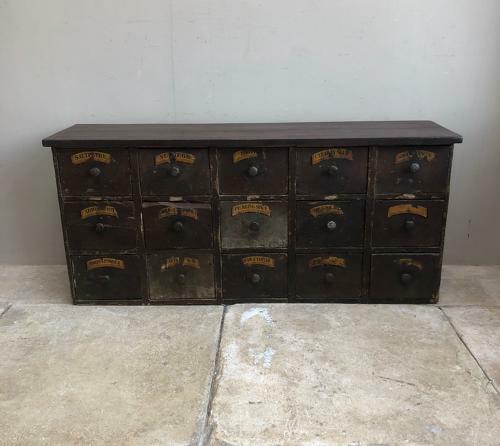 Originally part of a larger piece and so the top was replaced and matched in but the sides, bottom and all the drawers have their original paint, original arch top labels and full set of iron knobs. Solid dovetailed construction with no worm. Wonderfully decorative & useful piece that will wall hang or freestand.